We hope that you will enjoy your visit to the Museum, and that it will bring back memories of the way things used to be on the Isle of Man. Check out our face book page through the top right link for more information. Due to unforeseen circumstances the Museum will now be re-opening on Saturday 13th April 2019. 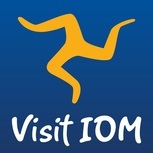 Find us on Visit IoM!